“Washing” is the process to wash polished rice with a large amount of water and remove rice bran. “Soaking” is having rice absorb water for making good quality steamed rice. 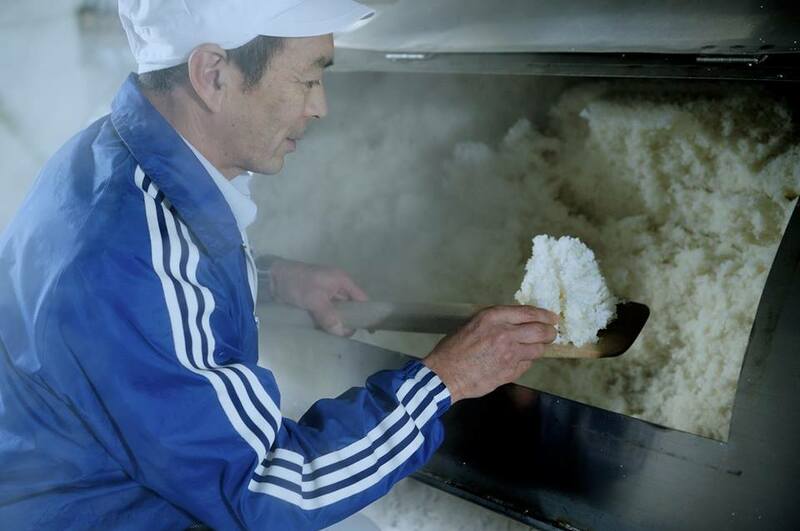 “Steaming” is for koji-making and preparation. 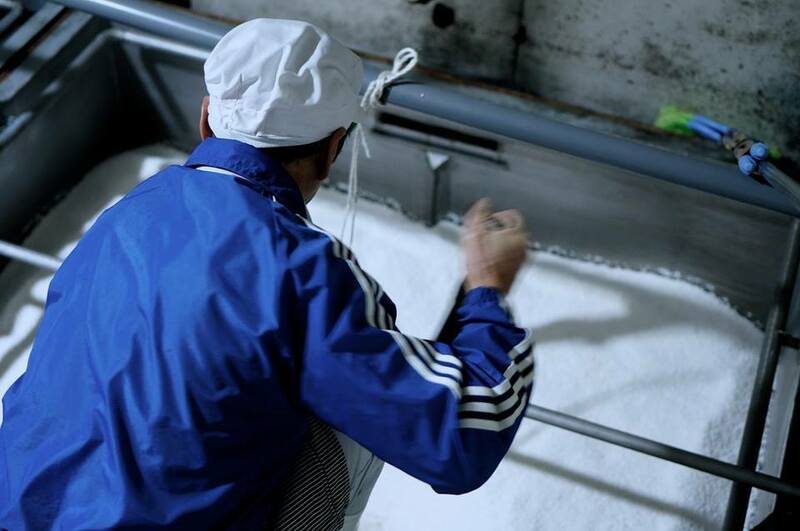 You may feel the process is simple when you hear “wash and steam the rice”, however, it is quite delicate process since accurate judgements are always required in a short time depending on kinds and quality of rice, temperature, water temperature, and humidity. 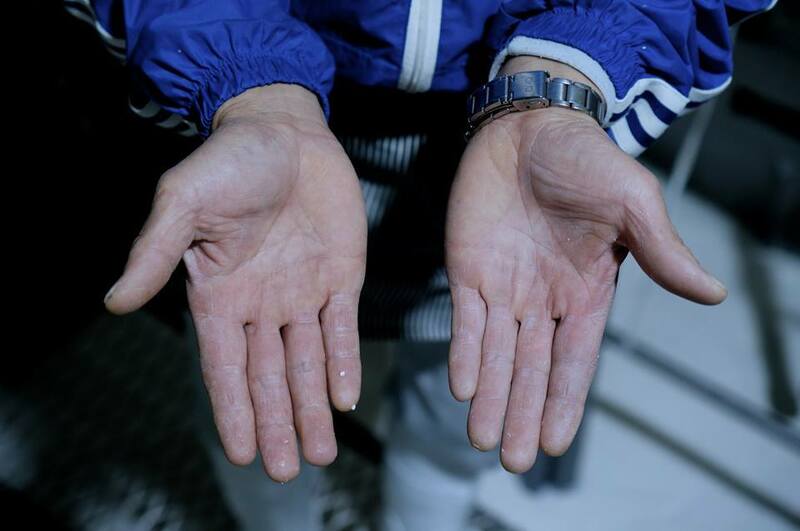 During sake brewing, Mr. Yuetsu Koyama is busily coming and going in these working places, washing, soaking, and steaming every day. He is a veteran brewer with 27 years’ experiences. “I can’t leave all processes to machines. Experiences and intuitions mean a lot in my works.” , Koyama said. He talked with few words, but his profile expressed his quiet fighting spirit and strong will clearly.